Call Tide Water Dock Building for a solid and strong seawall construction in Suffolk County. Seawalls are important for any waterfront properties. The construction of seawalls helps protect your property from hurricanes, heavy rains, and erosion. Tide Water Dock Building is the right company for construction and maintenance of strong and solid seawalls in Suffolk County. We offer expert storm repair and marine construction. Our highly qualified team builds and maintains effective seawalls. We specialize in all types of seawalls and strives to answer your specific needs. 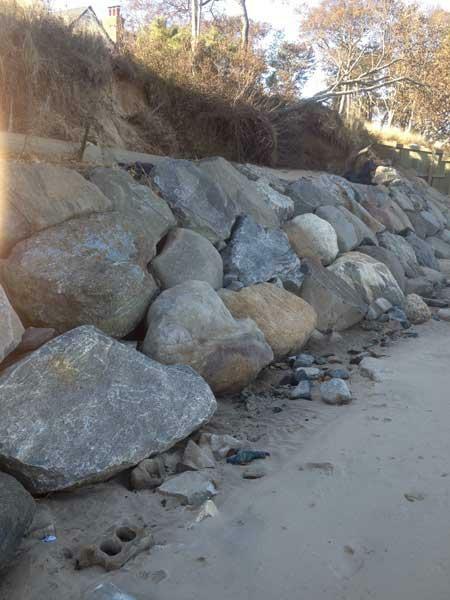 Call us to build an effective seawall! If you live near coastal regions, seawalls are highly important. Tide Water Dock Building builds effective and strong seawalls to protect your property. We take into account your property, the marine environment and the types of materials required before building the seawall. We specialize in bulkheads, floating docks, seawalls, coastal plantings and other marine construction!